Every morning, when I am walking my little canine creature, Blog (pictured left) – I see many of my neighbors walking their dogs, too. 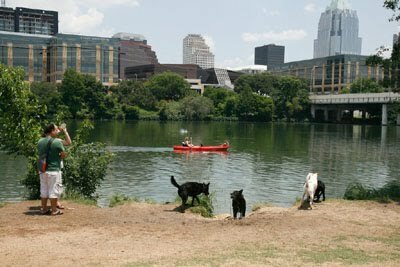 It’s part of the culture of Austin, a place where we celebrate dog friendly restaurants, and where dog owners create public outcry when the city makes changes to off-leash park space. So, it should come as no surprise that most downtown Austin’s highrises are pet-friendly. However, there are a couple of towers that go a little above and beyond when it comes to our four-legged friends. Here are some of my favorite downtown condos for the dog lover. We know, we know, the Austonian is pretty much great at everything. This fabulous, well-located, luxury condo complex boasts several high-end amenities. But, for the dog loving resident, the amenities for man’s best friend are pretty great. They not only have an 600 sf outdoor dog park on their 10th floor, but an adjacent indoor dog grooming room – right on site! 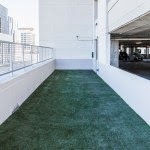 The 360 condos HOA got creative and transformed some underutilized garage space on the 4th floor into a very nice dog run, open 24/7! Very helpful for a pet owner in a hurry or a pet with a late night emergency!A signature building of downtown Austin’s renaissance, the 360 Condos is in the heart of downtown. While easily accessible to Shoal Creek, with 430 units served by 4 elevator bays, the wait for an elevator may at times make a harried pet owner a bit nervous. Bonus points to the 360 for having a Royal Blue Grocery on its ground level – makes buying healthy dog treats very convenient! The Rainey Street district condos have what few other downtown Austin condos have, which is direct access to a plethora of green space, and even better, the hike & bike trail. And, with the new boardwalk opening, you can get more excited to head east for that lap around the lake with your beloved Fido. Additionally, according to their newsletter, Milago also just recently added a special pet corridor on the northwest side of their building. To a dog, there’s just no substitute for a walk outside, but be careful on the hot concrete in the summer. The benefits of dedicated dog “runs” like the 360 condos and Austonian have is not only a positive for your pets, but also these amenities provide residents with a safe onsite place for owners to walk their dogs during the night hours. They are also convenient alternatives to the dwindling places dog owners have around their neighborhood to take their dogs out when nature calls, and they also lessen the impact on our communal park spaces. To see all the photos and read the entire story click here. 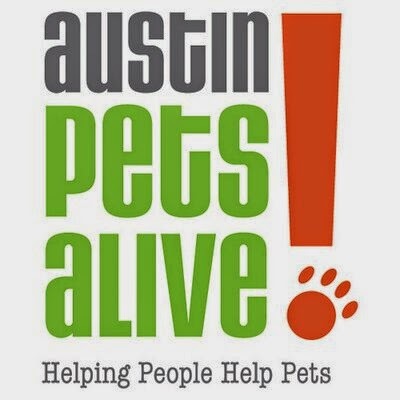 Austin Pets Alive should have the chance to build and run a new animal shelter and adoption center on a prime piece of city parkland, the Austin City Council decided early Friday. The nonprofit currently operates the city’s former — and many say, dilapidated — animal shelter at 1156 West Cesar Chavez, but says it has raised $1.2 million of the $10 million it would need to build a new facility there. At 2:30 a.m. Friday, the City Council decided unanimously to create a master plan for Lamar Beach, the area across from Lady Bird Lake that includes the old animal shelter, West Austin Youth Association sports fields and a YMCA. Other animal rescue groups had said the idea was rushed through without proper vetting, but no one showed up to oppose the item Friday morning. The city depends on a network of more than 100 animal rescue groups that keep Austin the largest no-kill city in the nation, city officials said. Last year, the city’s new animal shelter at 7201 Levander Loop in East Austin saved 94 percent of the animals that came in. About 47 percent of those animals left with rescue groups, and Austin Pets Alive was the largest rescuer, city officials said.